Ecuador is a country filled with history and culture, featuring numerous interesting traditional festivities. Some of which preserve their indigenous roots, and some others marked by the influence of the Spanish and Catholic culture. In this article, you will find a short introduction to what are the festivities celebrated in Ecuador. 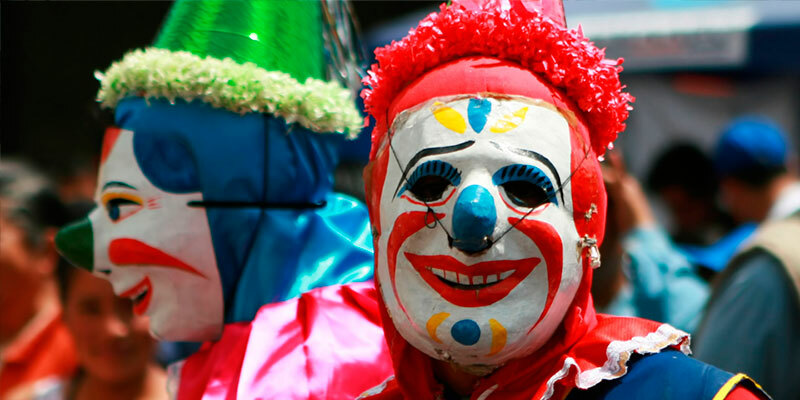 Carnaval is a festivity celebrated between the months of February and March. This festivity starts on Fast Thursday and ends on Ash Wednesday. Similarly, it serves as the last festivity filled with enjoyment before starting the fasting period. Furthermore, it coincides with ancient Ecuadorian festivities to honor nature’s fertility and the beginning of the blooming season. When visiting Ecuador this time of the year, you can easily get involved in a water balloons friendly battle, or have an encounter with flour, foam and colorful powder flying through the air and landing on you or someone on the street. In contrast, cities like Ambato, celebrate carnival with flowers and fruits decorations all over the city. Furthermore, and depending on your preferences you could either enjoy the parade just by watching it, or you can be a part of the festivity and wear a mask, and dance to the tunes played by the bands. Traditional food for Carnaval includes Fritada (fried pork), bolones (fried mashed plantains) and empanadas (cheese and meat-filled pastries). 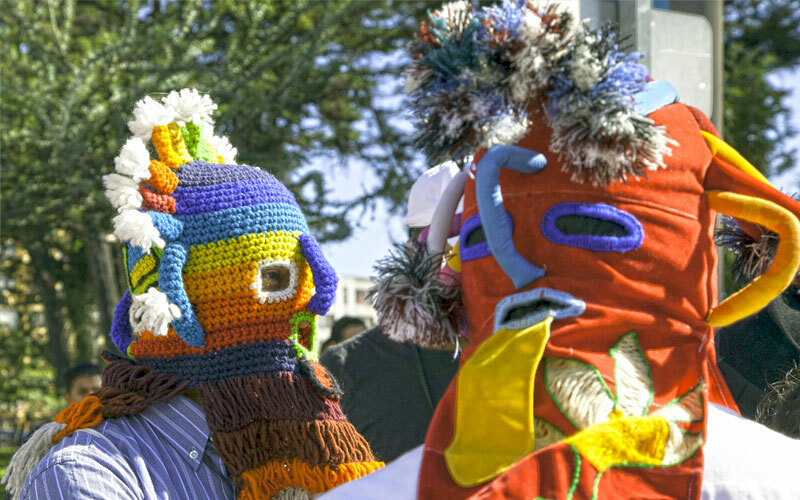 Most noteworthy this festivity of the Andes region honors the Inti, the Inca sun god. It is celebrated on June 21st, during the summer solstice; during this day the sun is at its highest point of the year on the equator. Inti Raymi is related directly to the harvest-time. Traditionally, food like beans, corn, potatoes, fruits, and the typical chicha drink are served on the Inti Raymi. Part of the food is saved until the end of feasting when it’s returned, as a token of gratitude, to mother earth, called Pacha Mama. The Día de los Difuntos, Day of the Dead, is celebrated on November 2nd. When is believed that the dead return for just one night from the afterworld to visit their beloved. Cemeteries are open all night long, as families get together to sing, talk, drink and even eat with their departed. 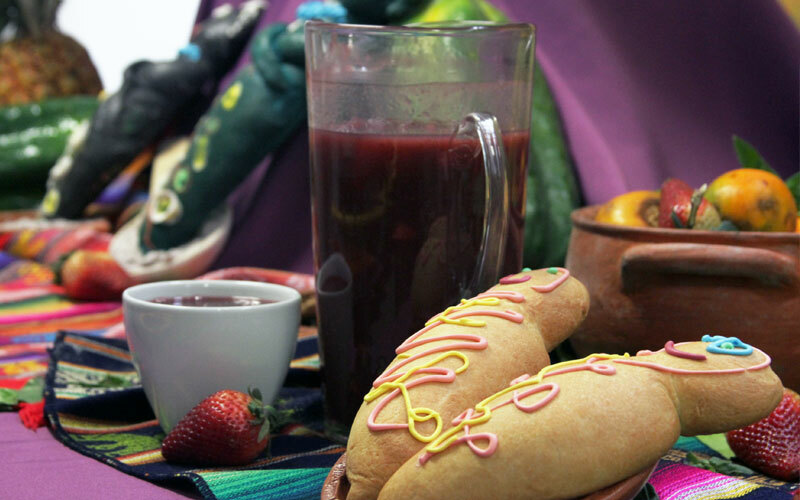 If you want to have a try on the traditional food for this day, ask for Guaguas de Pan, which is white, sweet buns shaped like a baby, and Colada Morada, a hot drink made of black maize, various fruits, and spices. 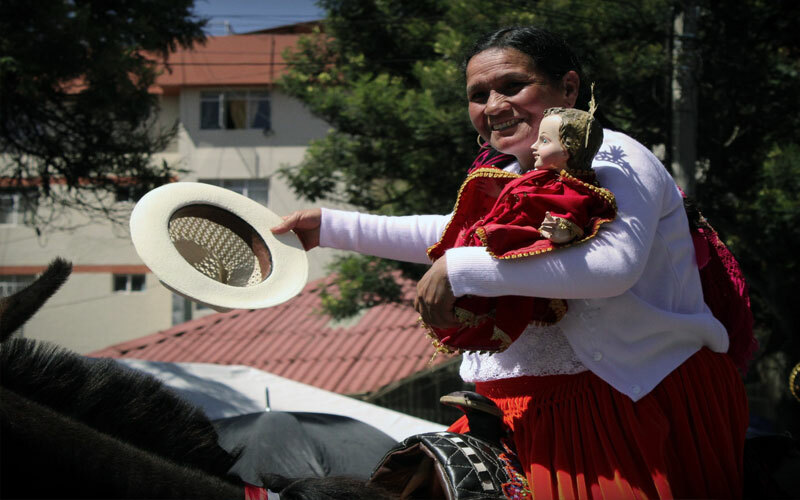 The Pase del niño is celebrated between the months of December and February inclusive. During this time, you will see many colorful processions, which are organized in honor of the birth of Jesus Christ. Some of the participants are dress up as biblical characters. Even the smallest kids take part in the celebration. Due to globalization, you can even see some Santa Claus participating. While watching the processions, you can enjoy the typical food for these days, which are buñuelos, balls consisting out of fried dough, and champuz, a viscous, warm drink, which is made from flour, honey, and fruits. New Year’s Eve, symbolically defeats all the negative experiences of the ending year and welcoming the New Year. Monigotes (dolls made out of newspaper and wood shavings) are burnt on this day. If you want to get rid of some negative experiences of the old year, you can just buy an “Año Viejo” doll as well as a mask and burn it at midnight. 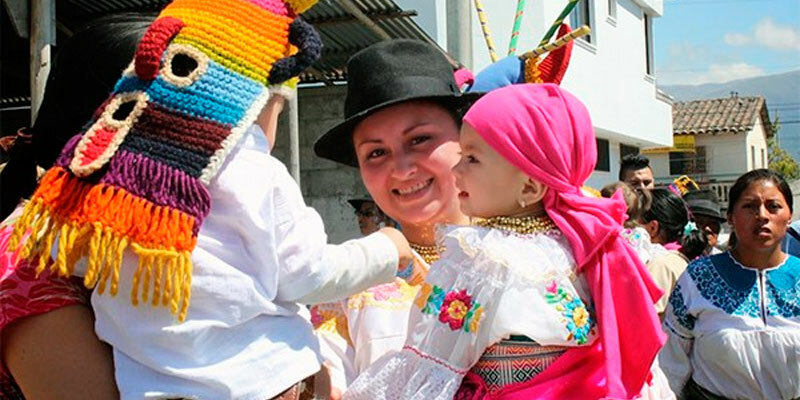 The monigote tradition is highly important and celebrated all over Ecuador. These dolls can have different sizes, from just a few centimeters to over three meters. 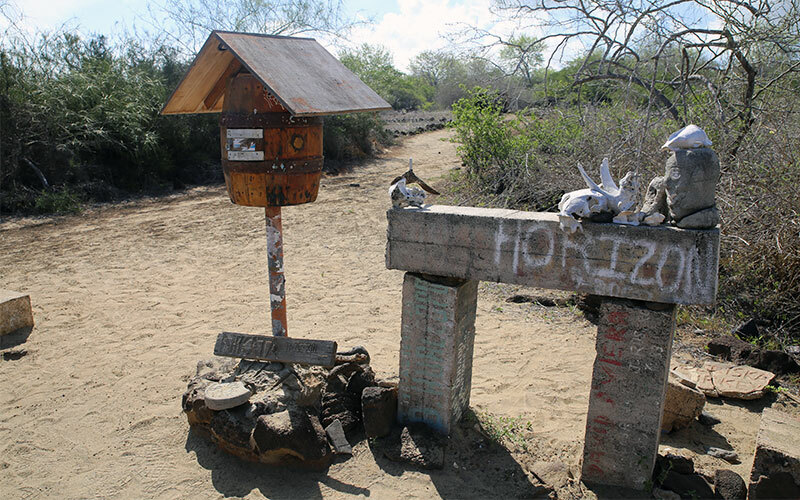 The characterization deals with political, cultural, social and ecological subjects in a critical, but humorous way. In most cities, you will find each house, or even neighborhood exhibiting their own, creative monigote, which turns a walk thru the cities even more interesting than usual. Further celebrations and awesome fireworks will be launched everywhere. It is no surprise to see streets blocked by men dressed as women, who represent the widow of the ending year, begging for any coin. Their interpretation may include dancing and flirting with car drivers. Which is the right festivity to visit Ecuador? First of all, it’s important to remark that every time of the year has its own and unique festivities. If you’re not sure about when to visit Ecuador, maybe just make it dependent upon the time when your favorite celebration takes place. 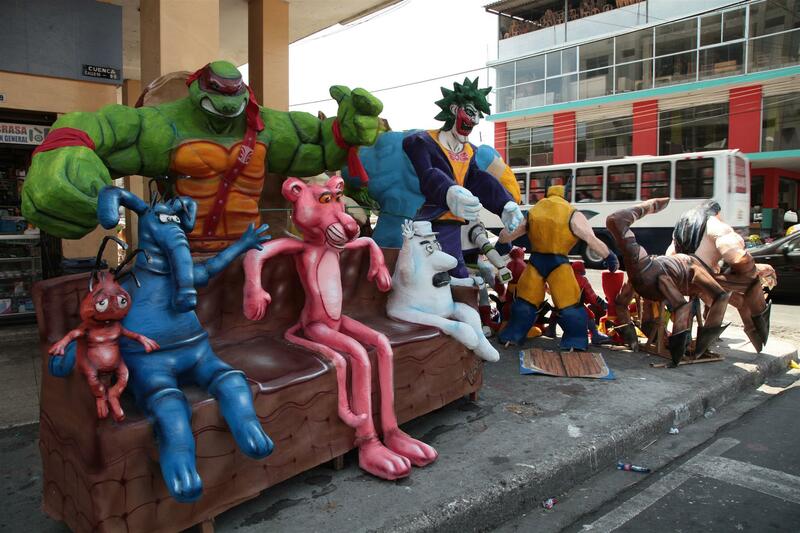 If you’ll like to play with water and foam while dancing on the street, check out the Ecuadorian Carnaval! Also, if you would like to be a part of Catholic traditions; come to Ecuador during the celebrations of Semana Santa. Furthermore, and if you’re a history-lover with a special passion for the Incas, you can immerse yourself into a vivid, “Inca” culture by watching the Inti Raymi celebrations. The day of the Dead can be the perfect opportunity to observe, be a part, of one of the most folkloric festivities in Ecuador, where the whole country shows its respect to Death itself. Finally and if you are looking to celebrate Christmas and New Year in a different way? 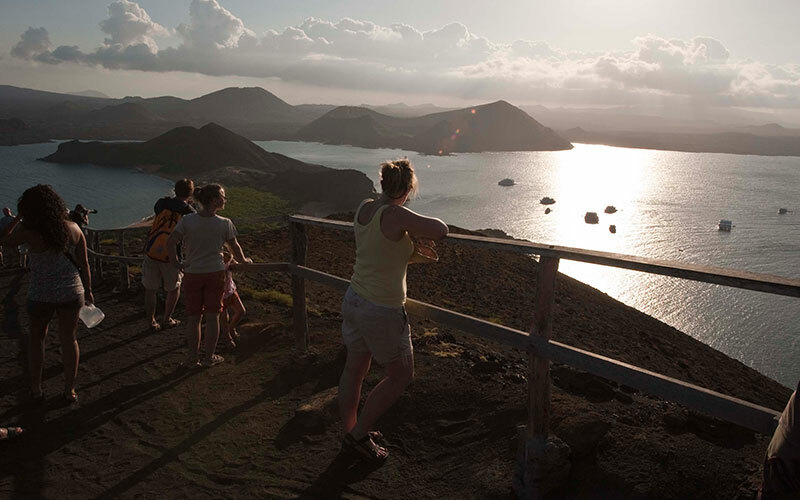 Enjoy the Christmas and New Year festivities in Ecuador! 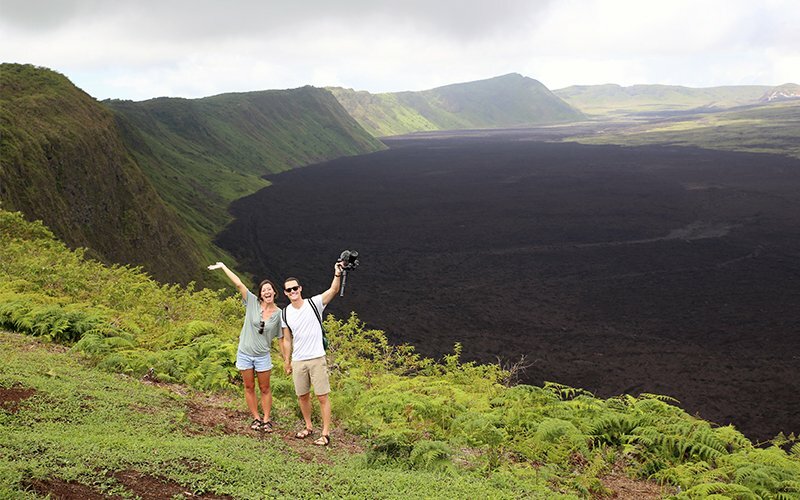 Consequently, Ecuador has a celebration and traditions for everything and everyone, visiting this unique country for any festivity will turn you into a storyteller and will make you feel astonished by the culture and history of such a wonderful place.